Add 2 Tablespoons of olive oil to a large skillet, on medium-low heat. 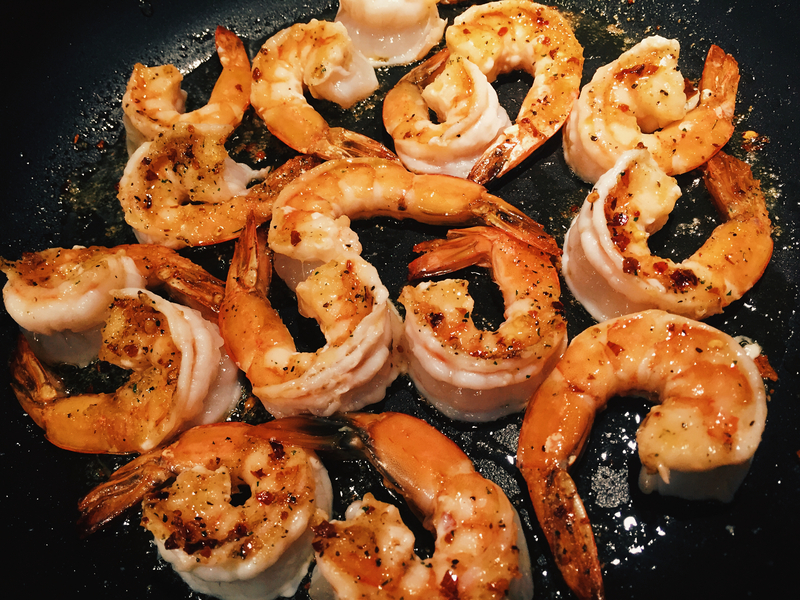 Add shrimp, red pepper flakes, Italian seasoning, and salt in the skillet, and cook on medium heat until shrimp is grilled cooked through, about 5 minutes. 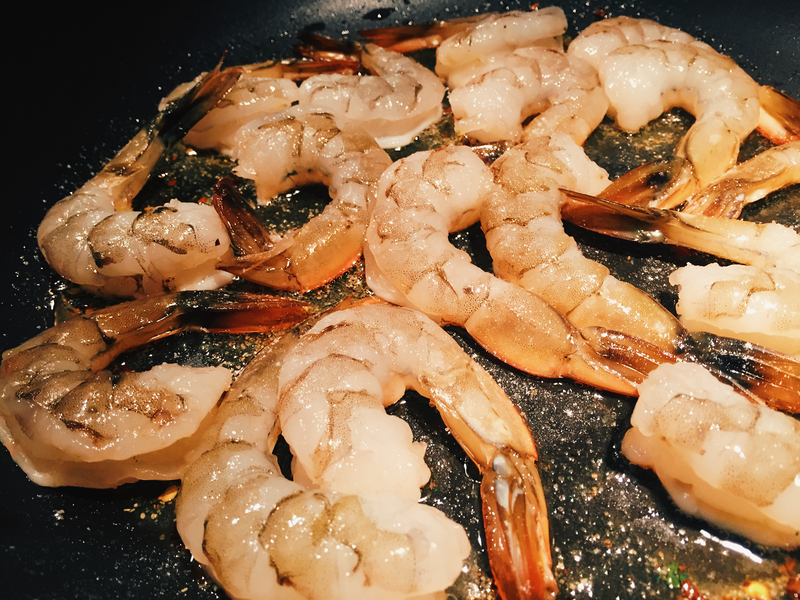 Remove shrimp from the skillet and set aside. 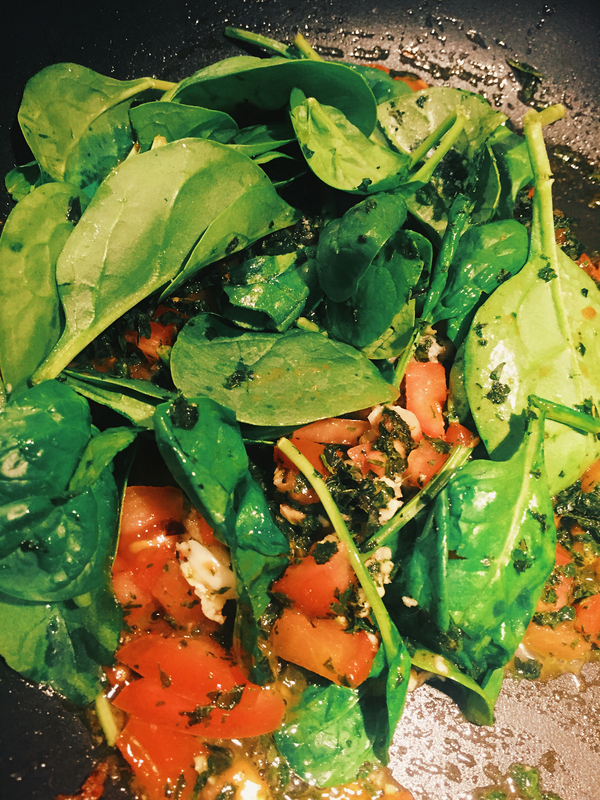 In the same skillet, add chopped tomatoes, chopped fresh basil leaves, fresh spinach, and chopped garlic. Cook on medium heat about 3-5 minutes until spinach wilts just a little and tomatoes release some of their juice. Remove from heat and adjust seasoning, if needed. Cover with a lid and keep off heat. Drain pasta and add to the skillet with the tomatoes and spinach. Reheat on low heat, mix everything well, adjust seasoning with salt and pepper. Remove from heat. 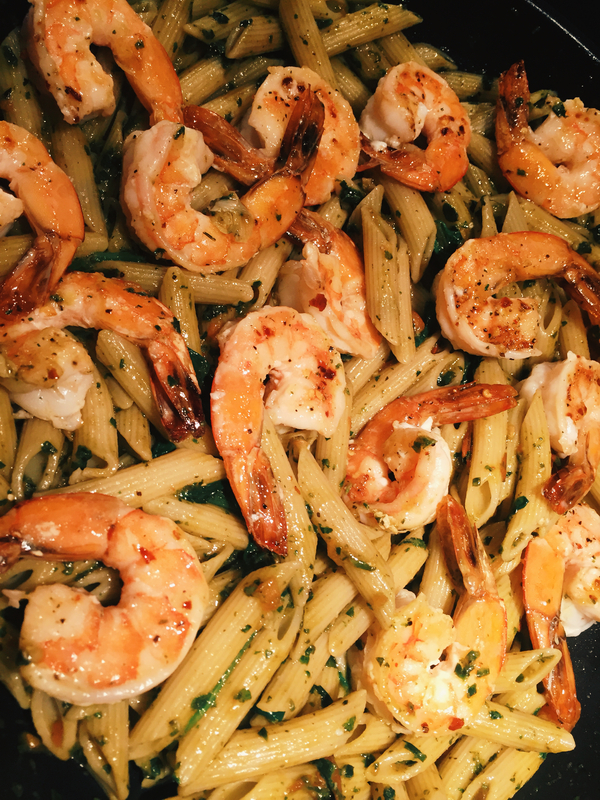 Once pasta and veggies are off heat, add grilled shrimp back and drizzle with good quality olive oil just before serving.